A man in custody for robbing a Chase Bank branch in Scappoose late last year was recently released from prison for robbing the same bank in 2013. 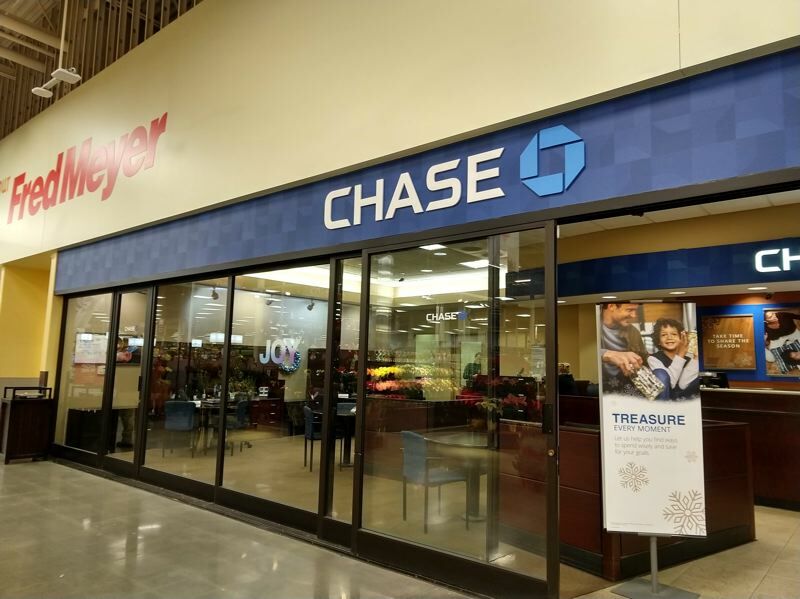 Ryan Beisley, 34, was indicted in federal court last week for robbing a Chase Bank branch inside the Fred Meyer grocery store in Scappoose on Dec. 4 — the same bank branch he was convicted for robbing in 2013 on a spree of robberies with co-defendant Travis D. Johnson. The December robbery in Scappoose was one in a string of bank robberies around Portland that Beisley allegedly carried out, days before police shot him at a north Portland Starbucks coffee shop. Scappoose Police investigators say Beisley walked into the Scappoose branch at 6:40 p.m. on Dec. 4 wearing a motorcycle helmet, then demanded cash. He walked out of the bank with an estimated $3,755 in cash, got into an older model Mitsubishi, then headed for the Dutch Canyon Estates subdivision behind Fred Meyer. "The night of the bank robbery, the vehicle left Fred Meyer, went to the subdivision behind Fred Meyer, Dutch Canyon. A guy at the bottle return saw him," Scappoose Police Chief Norm Miller recalled of the night of the robbery. Moments later, the suspect, believed to be Beisley, drove to the Dutch Canyon housing area, where he was observed by a different eyewitness, Miller said. "We had a witness who saw the suspect get out of the car. The car rolled out into the middle of the street. A lady saw him get into another car, and gets the plate number of the car they drove away in." Beisley got into a Hyundai Veloster that investigators say was driven by Johnnie Lee Gonzales. The original getaway car was left in the neighborhood and was later impounded by police. Beisley got away, but by 11 a.m. the next morning, Scappoose police had already named him as a suspect. "The benefit to working in a small town is we can put a lot of people together in a room and share information," Miller said of his officers, who reached out to a Columbia County Sheriff's Office sergeant to help with the case. "We sat in a room and by the next morning, we determined who bought that car." When the suspect's name came back, it rang a bell. "I thought, 'Oh my gosh, he's the same one that robbed our bank in 2013'," Miller says. Police had their suspect named, but without a stable address and a reputation for being transient, the 34-year-old serial bank robber had yet to be tracked down — until he showed up to a coffee shop a few days later and caused a scene. The Portland Tribune reported that on Dec. 7, shortly after 5 p.m., Beisley got behind the counter at a Starbucks coffee shop on Northeast Weidler Street in Portland's Hollywood area and began yelling at employees. Police responded and soon learned that employees were "hiding in a back room," where Beisley was trying to get inside. 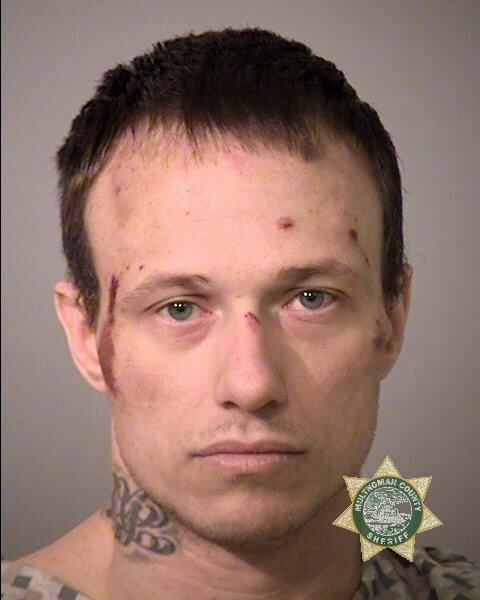 Beisley flashed a fake gun, which led four Portland police officers to fire shots. He was wounded and struggled with officers before being arrested and transported to an area hospital, the Tribune reported. A federal indictment alleges Beisley and Johnnie Lee Gonzales worked together to rob four different banks from Nov. 30 to Dec. 6, hitting branches in Clackamas, Portland, Scappoose and Oak Grove. Beisley had just escaped from a transitional house for parolees on Dec. 1, a sealed indictment states, after serving a prison sentence for robbing banks in 2013. His co-defendant, Gonzales, has ties to Columbia County and was arrested in 2014 for making bomb threats to the Columbia County Courthouse. Gonzales was arrested Dec. 21 in Clackamas County after fleeing police during a traffic stop in the same Hyundai used as the second getaway car in the Scappoose robbery. Both Beisley and Gonzales remain in custody outside of Columbia County. The Scappoose police chief credits his staff with quick police work and pooling resources to link Beisley to the crime. "We have a fabulous team of officers here that go above and beyond every day to solve these crimes," Miller said.